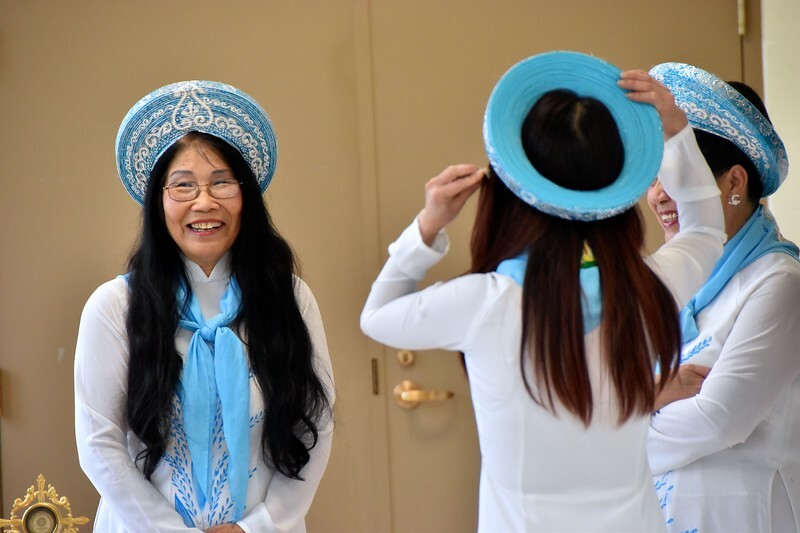 On October 7, the Vietnamese worship community of Milwaukee celebrated its 40th anniversary. Since 2007, the community has been a part of St. Martin of Tours parish in Franklin, WI. Fr. Joseph Quang Tran, SCJ, associate pastor of St. Martin’s, ministers to the group. Other SCJs at the celebration included former pastors of the parish – Frs. Anthony Russo and Yvon Sheehy. At the end of the anniversary Mass the community surprised Fr. Joseph Quang with a cake for another 40th: on October 9 Fr. Joseph Quang celebrates his 40th birthday.